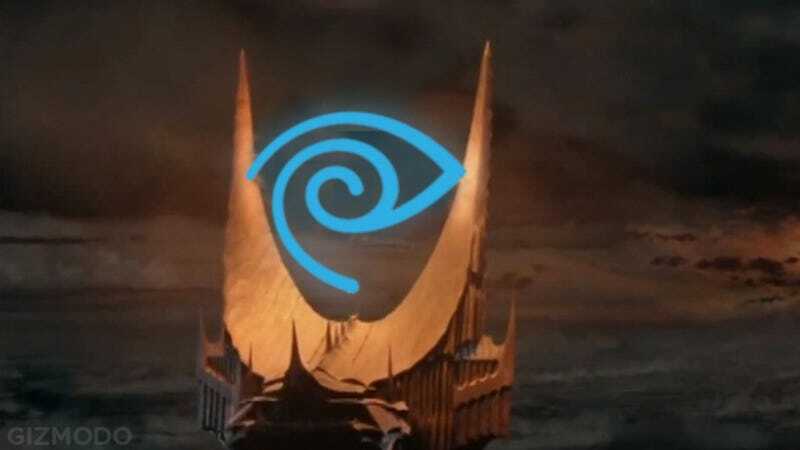 The mere mention of Comcast and Time Warner cuddling up to form one crummy super-conglomerate is enough to send you running for the pitchforks. But this unholy union—if it passes regulatory muster—goes deeper than MONOPOLY BAD. To understand just how problematic the tie-up is, it's important to look at both why it's happening and, more importantly, what it will mean for you. The short answer: money! But that's the short answer for most things. Let's look at a slightly longer answer. Since cable companies are largely regional operators, it's sometimes hard to get perspective on just how big they are relative to one another. Comcast is gigantic; it leads the U.S. with nearly 22 million cable subscribers and over 20 million broadband subscribers. Time Warner Cable is the second-biggest cable co., though its roughly 11 million cable and broadband subscribers are obviously dwarfed by Comcast's Death Star proportions. Combined, they would represent roughly half of all paying cable-TV-phone customers in the United States. It's not quite Coke buying Pepsi, but it's close enough to raise alarms. But it's also easier to see why both companies might feel the need to be even bigger. They're threatened from every conceivable angle. As the the New Yorker points out, the cost of being a cable company is going up, and you don't need to look very far back in time for an example of the fallout. Last summer, TWC and CBS couldn't reach an agreement on the latter's "retransmission consent" fee. These kinds of disagreements happen all the time, and lead to posturing you might be familiar with. Call your cable company now if you want to continue enjoying these programs. This time, though, what had been a familiar game of posturing ended with CBS blacked out for millions of Time Warner Cable customers. For an entire month. The only thing that repaired the relationship was the onset of the NFL season. A stalemate that long, though, proved to cable providers that they no longer have the leverage they once thought. And the quickest way to gain leverage is size. This is a point that's been repeated often enough, for long enough, that you don't need much background. Suffice it to say, though, that thanks to cable alternatives like Hulu Plus, Netflix, and Aereo, the TV industry is coming off its worst year ever. Companies like Comcast and Time Warner Cable are losing customers by the hundreds of thousands every quarter. It is not sustainable. The more important—though less visible—reason for the team-up? Broadband. These companies don't just control what happens on your teevee box. They control the pipes that get the internet to your house. In five years, which do you think will be more important? How about in 20? As GigaOm notes, broadband is already the most profitable segment of both Time Warner Cable and Comcast's businesses. Even if everyone abandons their 400-channel subscriptions for their Roku HD, they'll still be paying for that streaming video goodness. And that's a much harder business to disrupt than television is; there's no reliable DirecTV for internet. So the reasons for the merger go a little deeper than you might have suspected. But so would the fallout. As mentioned before, the two companies have virtually zero overlap in footprint, which means that many people will have exactly as much choice as they did before the merger. That doesn't mean that it's without serious consequences. No one woke up this morning wishing their cable company was bigger or had more control over what they could watch or download. Which is true! No one did. But why not? Being as large a company as TWComcast has many advantages, but the most dangerous and damning of them is that it makes things easy. Easy to bully content providers into favorable deals (remember, Comcast also owns NBC). Easy to raise prices in areas where there's effectively no competition. Easy to implement a broadband data cap—sorry Time Warner Cable customers, but Comcast has one—and to throttle speeds and charge exorbitant rates for anyone who goes above it. Easy to dismantle net neutrality single-handedly. Most of all, though, it's easy to do nothing. Improving things is both hard and expensive. That's why Intel abandoned ship on its TV of the future. And it's why TWC and Comcast won't make much of an effort to build one. By owning both cable and internet connections for the near-majority of American households, TWComcast would give customers nowhere to run. It's hard to escape a sinking ship if the same company also owns the ocean. Also, prices will go up. They were going to anyway, obviously. But now there's no real way to stop them. A Comcast-TWC tie-up seems so aggressive, so distasteful, so monopolistic that there surely must be someone who can stop it. And there is! That someone is the FCC, which needs to approve the deal before it goes through. Unfortunately, it probably won't. Remember, Comcast and TWC are not in direct competition in most markets, which makes it an easier sell. Or rather, it gives the FCC a ready excuse, if it's looking for one. Which it almost certainly will be; one of the cable industry's top lobbyists used to be an FCC chairman. So get ready for TWComcast, everyone. A slow, lazy, expensive behemoth, two wrongs made wronger, with all of us footing the bill.